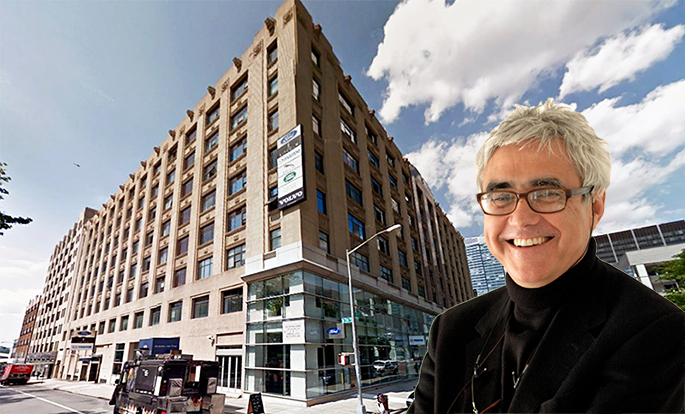 In December, the Post reported that Bill Ackman had tapped starchitect Rafael Vinoly (the designer of 432 Park Avenue) to re-imagine 787 Eleventh Avenue along Manhattan’s “Automobile Row” in Hell’s Kitchen. Ackman’s Pershing Square Capital Management intends to relocate to the top floors of the building, and permits filed yesterday indicate that plans are moving forward. The 100-foot-tall structure will receive a two-story, 60-foot-tall addition, which will add nearly 20,000 square feet of construction floor area to the 460,000-square-foot building. The square and squat building was built in 1928 and spans an entire block front along Eleventh Avenue. Its 60,000-square-foot floor plates cater to automobile showrooms and high tech tenants. Soon after Georgetown Companies and Ackman purchased the building for $255 million last July, Ackman announced plans to relocate his firm to the building’s upper floors. Sources told Crain’s Ackman also wants to install a large outdoor roof deck with a swimming pool and tennis court. And considering he was revealed back in April as the buyer of the second most expensive condo ever– the $91.5 million penthouse at One57 that he intends to flip–we fully expect he’ll complete these lavish plans.